Urodzony w Barcelonie artysta początkowo związany z zespołem The High Connection. W 2015 roku wydał EP pod nazwą „Respect Reggae Music”. Od tego czasu pracował z róznymi składami z Barcelony co poskutkowało wydaniem EP „Thanks For Life” wraz z kapelą The Same Song Band. Z tym samym składem w 2017 roku wydał album „Basically”. Alex występował na większości hiszpańskich festiwalach muzyki reggae (dwa razy na Rototom Sunsplash). Koncertował również we Francji, Niemczech i Szwajcarii. W tym roku wraz z soundsystemem King Horror Sound zawita w Polsce! Jest to jeden z najbardziej znanych hiszpańskich soundsystemów! Ich koncerty to prawdziwy pokaz energii. Mają rzesze fanów nie tylko w hiszpanii ale również w całej europie. 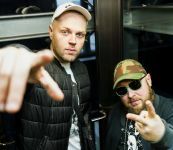 Na przestrzeni lat współpracowali z wieloma artystami co w 2017 roku poskutkowało wydaniem albumu „67 Riddim” z takimi artystami jak Randy Valentine, Million Stylez czy Skarra Mucci. Ich skład jest bardzo międzynarodowy (Hiszpania, Niemcy, Polska). W tym roku wraz z artystą Alex Bass wystąpią na festiwalu Najcieplejsze Miejsce na Ziemi! Currently one of the hottest Spanish reggae artists. Alex Bass is one of the voices that has entered the scene over the past years. Born in Badalona (district of Barcelona), started his path together with the band „The High Connection”, with whom they created their first work „Livin inna Babylon” in 2014 summer. In January 2015 he released his first solitary EP under the name „Respect Reggae Music”. Over this same year, started to work with different Barcelona collectives, what brings him to meet the members of A4 Reggae Orchestra, with who they finally created The Same Song Band. Later the same year, they released their first EP „Thanks For Life”. In 2017 Alex releases his new LP named Bassically, 12 tunes 100% produced and mixed by the band, where they present their way of understanding reggae music going over Rockteady and Lovers Rock as identity signal. He has performed on all Spanish festivals stages including twice on Rototom Festival. With sound system shows he’s been traveling also abroad (Switzerland, Germany, France). This summer he comes with King Horror Sound to Poland to share his music in concert-sound system show combination. King Horror is one of the best known sounds on the Spanish reggae scene and one of the few internationally recognized. This group of young trailblazers are known for their energetic and innovative shows, and have a large fan-base following their tracks. King Horror brought top reggae vocalists to Barcelona over the years and thanks to that started cooperation with many of them. That resulted in release of one-riddim album „67 Riddim” in 2017, featuring artists like Randy Valentine, Million Stylez, Skarra Mucci and others. They have travelled all around the continent bringing their original shows to most of the European countries. King Horror consists of mostly Catalan members along with one from Germany and one from Poland, making it truly international sound. King Horror began in Barcelona in 2005, when three friends, united by their love of Jamaican music and culture, began an underground night in the backstreets of the city. What started as a small gathering of like-minded jamaican fans soon received support from the esteemed reggae veterans in Barcelona, and King Horror found as one of the main players on top of the Catalan reggae scene. Since then, King Horror has continued to grow in size and calibre, travelling all over Spain and becoming one of the few national sounds to receive international recognition. 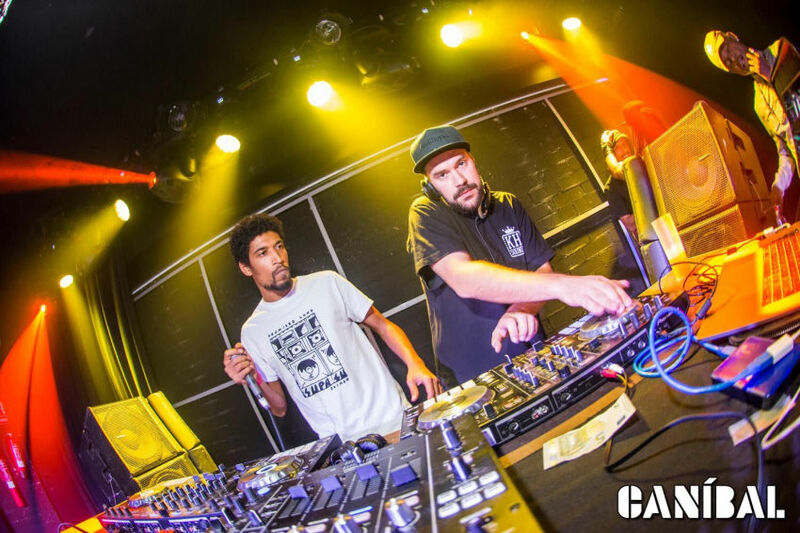 They have been both promoters and residents in legendary clubs of Barcelona such as Pressure, Jamrock, Reggae Circus and Spanish Town, sharing the stage with some of the best international artists that have passed through the city. Till this day they stay on top of the scene organizing festivals in and around Barcelona and performing across Spain as well as the whole Europe. Closely cooperating with most recognized and well known Catalan artists like Alex Bass, Adala, Paula Bu, A4 Reggae Orchestra.